Remastered games are truly the 80’s film classic reboots of the gaming industry. For better or worse, every month seems to be packed with a new remaster — a new way to experience the rose-tinted past where games were always somehow “better.” But a fresh coat of paint doesn’t always reveal what you want it to. Crash Bandicoot was dragged to this generation kicking and screaming, only to be recognized as the sub-par platformer it always was; PaRappa the Rapper Remastered has changed from kitschy to uncomfortable. 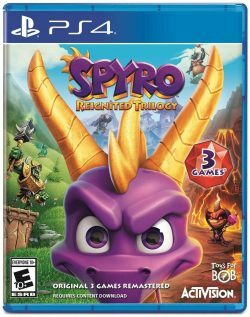 After a string of misses, I was worried about Spyro Reignited Trilogy. Thankfully, there was no reason to be. Spyro Reignited Trilogy is the best remaster of any game from the original PlayStation’s library, and likely one of the best remasters I’ve seen period. 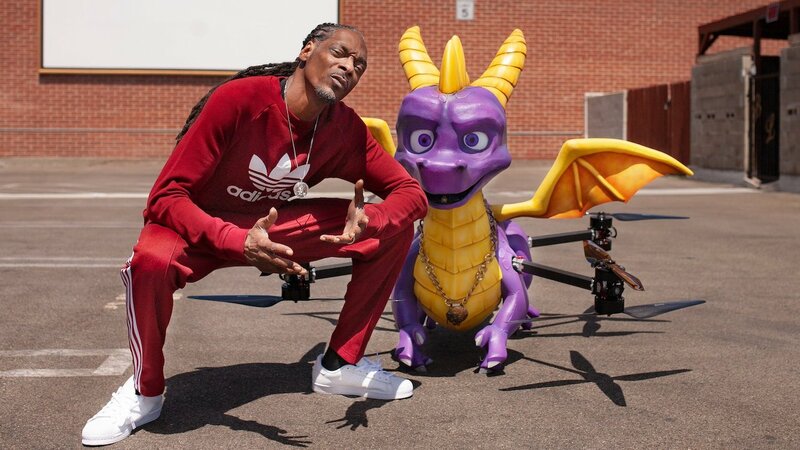 Let’s start with our history — the original Spyro the Dragon was among the first projects of developer Insomniac Games following the middling release of Disruptor. Combatting other platforming giants like Banjo-Kazooie, Crash Bandicoot: Warped, and other established names, this freshman mascot from a sophomore studio was really the underdog of 1998. Each game in the list has its distinct highlights that make it worth playing. 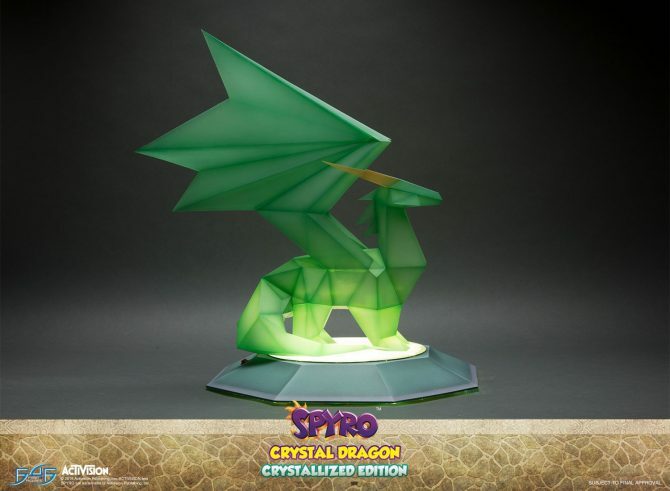 While the original Spyro the Dragon is easily the most basic, it retains the most unique charm — especially for those who played the game in the past. Meanwhile, Spyro 2: Ripto’s Rage! has a lot of clear influence from Banjo-Kazooie and other noteworthy games. This sequel adds some new control functionality and unlockables that really round out the control scheme. 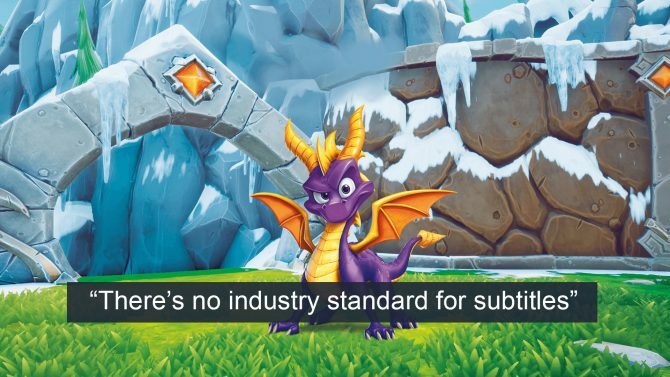 On the other hand, Spyro: Year of the Dragon is easily the best of the three, offering far more gameplay diversity than the first two games. Every level feels much larger than in the past two games and peppered-in minigames round out the experience. The bottom line is that all three games have highlights that make them all worth playing — even if you are just looking for an easy platinum. The games themselves retain a distinctly Insomniac platformer feel, and that is a good thing! If you’ve spent some time this generation playing through Ratchet & Clank, you likely understand the sentiment. Nothing about the games are necessarily hard, however you never feel like they need to be. In a sense, tracking down gems and dragons eggs feels like dipping into some comfort food. 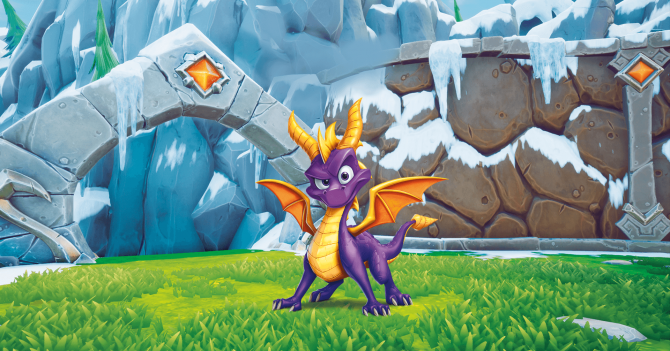 While other games like God of War or Red Dead Redemption 2 demand your attention, Spyro Reignited Trilogy only wants you to enjoy yourself. 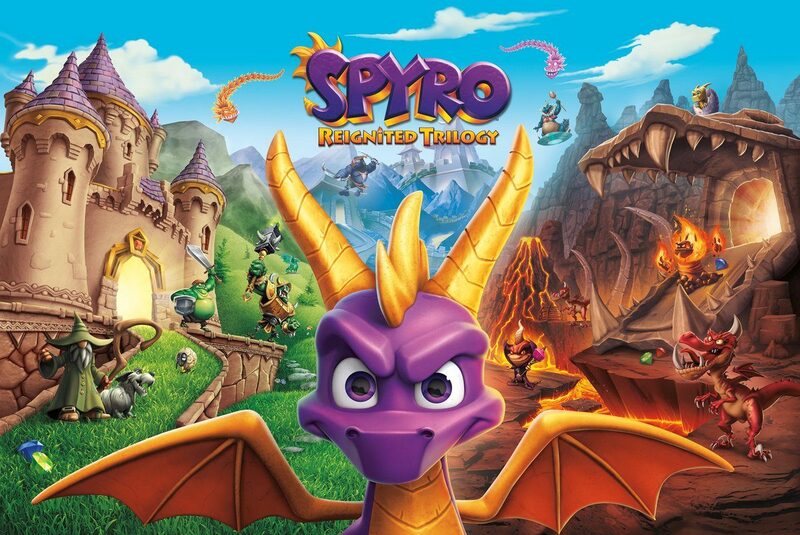 Yet somehow, I remember even the original Spyro the Dragon to be exactly how it was remastered for Spyro Reignited Trilogy. 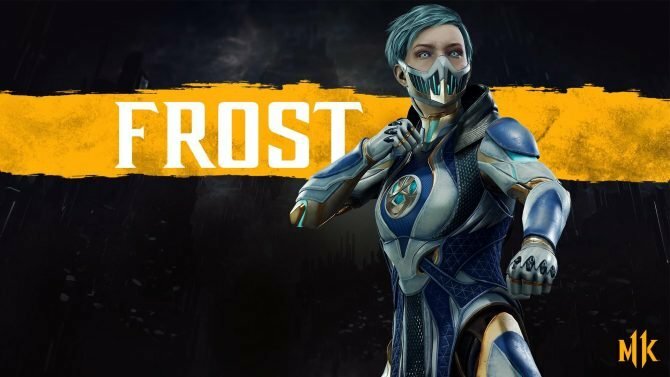 With vibrant colors, overly-animated enemies, and beautiful textures, everything in the game has been touched up, but not in a way that feels intrusive. It may look cartoony, but it certainly gives Fortnite a run for its money. My one continued gripe about the game is its controls and camera. Just about 95% of the time I have absolutely no issues with the controls — so take it with a grain of salt. But there seems to be something inescapable about 3D platformer games from this generation and awkward camera controls. With the Reignited control scheme, far too often I would hit the L2 button with a finger, making the camera pan and Spyro to miss a jump or run straight into an enemy. Meanwhile, the “Classic” controls don’t hit the mark either, with camera speeds that are too slow. It may have been a smart improvement to add a sensitivity slider within the camera options, but I still appreciate all the work developer Toys for Bob did to try and mitigate the issues. Add to that the game’s lack of subtitles, which is–simply put–lame. We’ve discussed it more than a few times, but it’s worth highlighting again in the review. If you are someone that needs subtitles, you should wait until they are (hopefully) updated in. From a performance perspective, everything is generally great. In areas with a lot of assets, you will likely notice some slowdowns and a missed frame or two. But those issues are just barely noteworthy. My larger gripe, performance-wise, is the 10 to 20-second loading screens which work to break up the flow of the game. Ironically, it is the part of Spyro Reignited Trilogy that feels the most reminiscent of the original PlayStation version. I can likely survive without too many more remasters of PlayStation one games. That is… unless the rumors of a remastered Crash Team Racing is real. 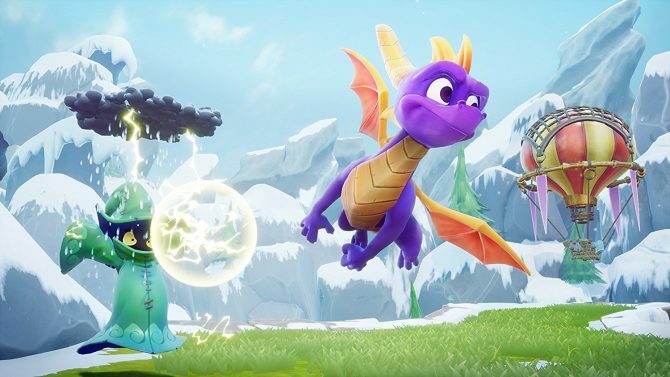 There aren’t a ton of games that can make a two-decade jump and remain unscathed, but Spyro Reignited Trilogy does just that. While it won’t do anything to challenge the status quo of gaming, no one says it has to. This is a game made for you to unwind with and is a great pick-up-and-play game in between more time-intensive titles.